Nothing to me says Christmas like the story of the Nutcracker – I remember as a child reading it as well as being lucky enough to go and see the ballet a few times. It was such a Christmas thing to do, and I’m lucky that my kids love the story as much as I do. Although we are yet to see the ballet in real life they have watched a movie and TV production of the ballet, we also have a beautiful copy of the Nutcracker – a version that comes alive The Nutcracker: A Magic Theatre Book by Geraldine McCaughrean and Illustrated by Kristina Swarner. 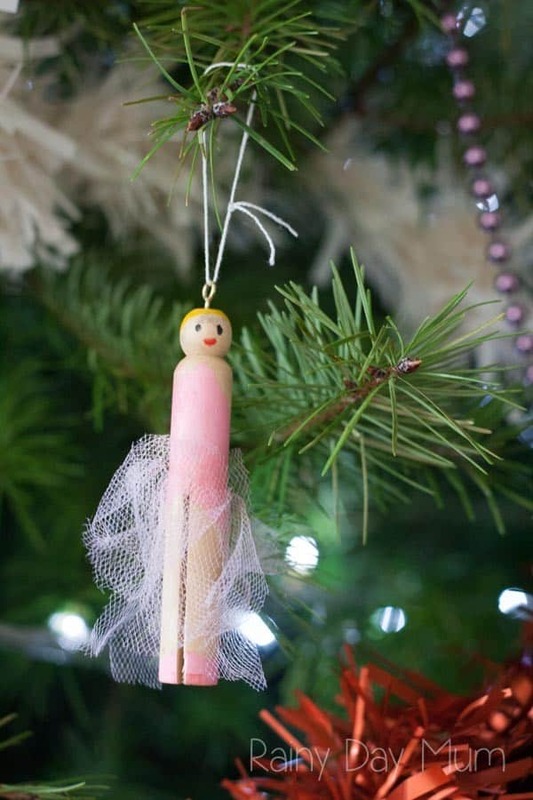 Inspired by the story, we’ve created a nutcracker ballerina ornament to make that toddlers and preschooler can do too. 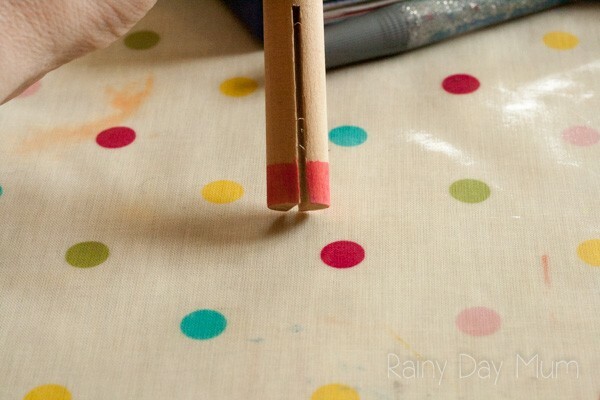 This is a simple Christmas Craft for Toddlers and Preschoolers. I made a version of the peg doll alongside my daughter who was just 3 at the time. 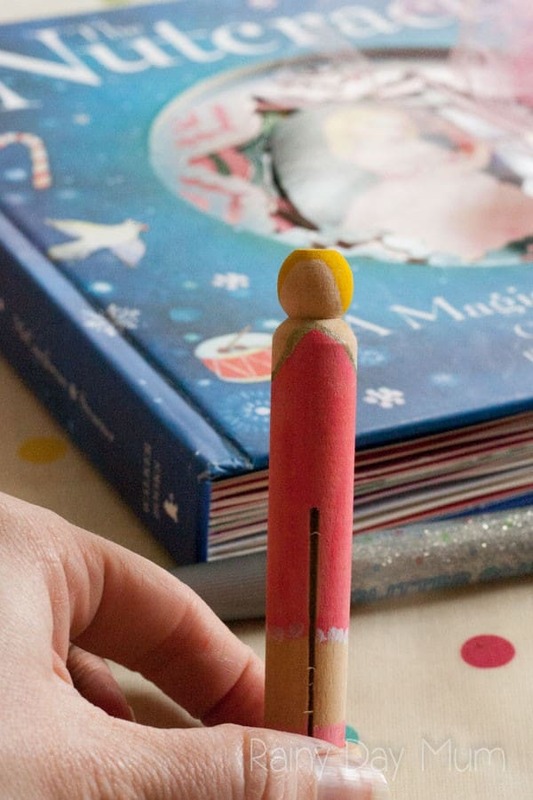 You can see her version alongside mine throughout the guide to creating these Nutcracker Peg Dolls. 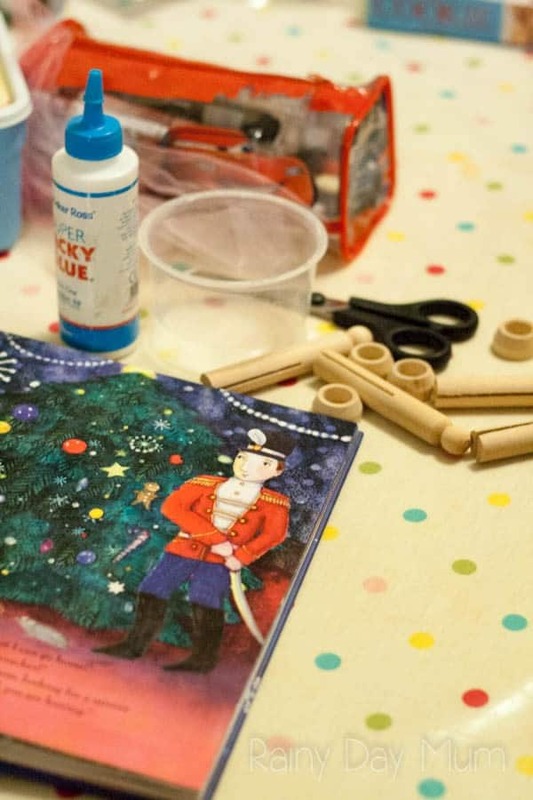 If you want to have a go at creating the Nutcracker peg doll then check out our tutorial for making him too. 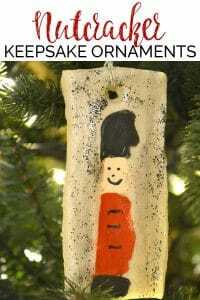 We have included links for the materials you need to recreate this simple Nutcracker Ballet Ornament with your kids. If you buy via the links we may earn a small commission. 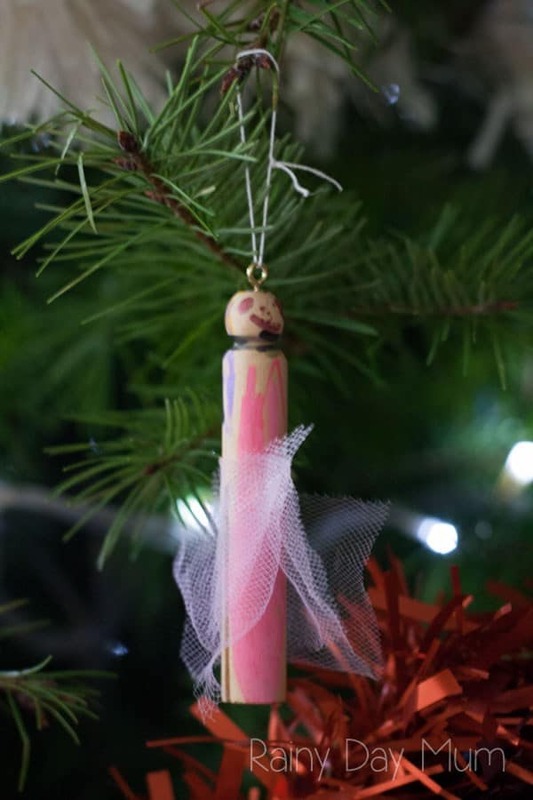 Due to T’s age – she’s only 3 we decided that our peg doll Christmas decorations didn’t need any wings as she would be flying on the Christmas Tree anyhow however if your would like to create some wings then Red Ted Art has some fabulous one that she made for her Tinkerbell Peg Doll. 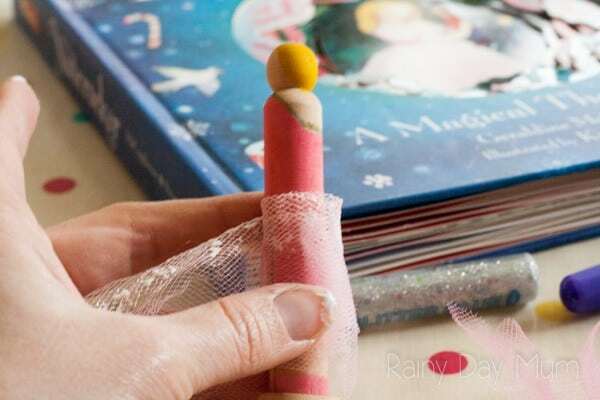 In our book of The Nutcracker the Sugar Plum Fairy is dressed in pink – so we started off by colouring on some pink ballet shoes on the tips of the peg. 2. 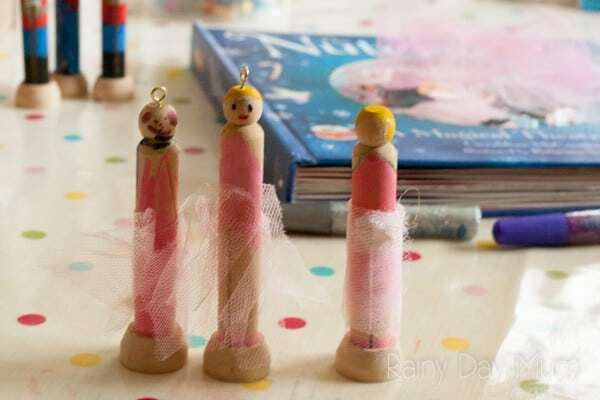 She then decorated the body in a pink dress and added yellow to the hair and we placed it in a peg doll stand to dry. 3. Once dry she used some tacky glue to add strips of tulle around the body of the sugar plum fairy to make her dress. 4. With the doll dry, I used the gold screw eye hook and attached it to the top of the head and made a loop with the string to hang it from the Christmas Tree. Discover more Nutcracker themed activities and crafts to create with your kids below. Either click on the images or the blue underlined text to be taken to the instructions for that activity. 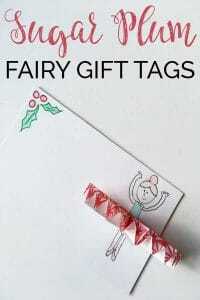 This year we are trying our best to be a little more eco-friendly so we are creating our own gift tags like these Sugar Plum Fairy Gift Tags which my daughter is loving making this year. 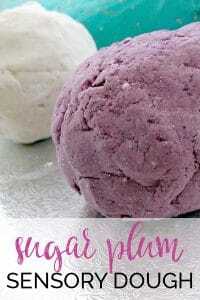 Whether you are wanting to combine this homemade Sugar Plum Sensory Dough with reading of the Nutcracker or with ‘Twas the Night Before Christmas (where visions of sugar plums danced through their heads). The smell of it is amazing. We love getting creative with Saltdough and this Saltdough Nutcracker Keepsake Ornament is a fun way to link reading with making a memory that you can put on the tree year after year. 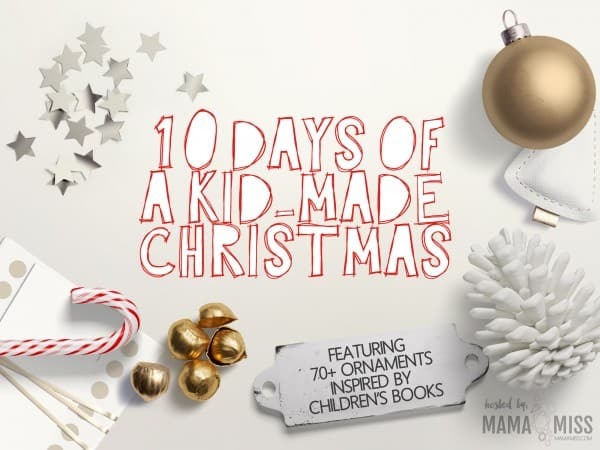 We’re really pleased to be joining in with the 10 Days of Kid-Made Christmas again this year sharing ornaments for kids to make inspired by some favorite Christmas Books. I know a boy who is crazy about nutcrackers. He is going to love this craft project. I love these. This will keep us occupied one night this week!